An inclusive education kit for children with disabilities to learn and engage equally in schools, designed through focused research and user testing, enabling them to engage with play-based learning in developing countries and emergency contexts. Reach & Match Inclusive Education Program have successfully piloted in Solomon Islands, Papua New Guinea and the Philippines for children 3-6 years with all different abilities to learn through play-based activities, we are looking to scale and expand. Registered as aFor-Profit in Australia. 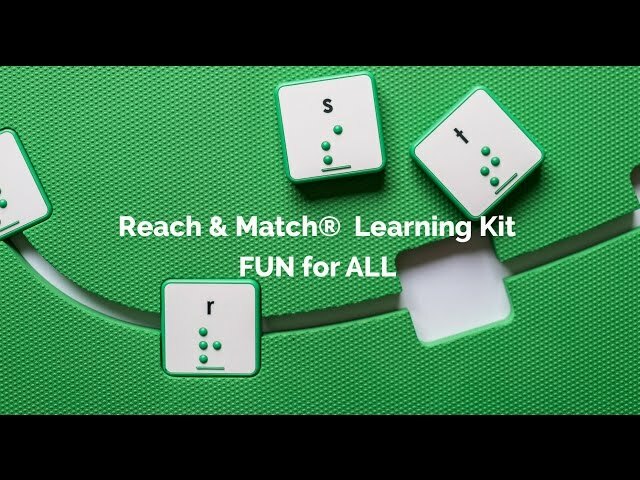 The project consists of a device Reach & Match Learning Kit and Reach & Match Inclusive Learning Program. It is a researched-based educational tool combining literacy, sensory elements and interactive features for children disabilities to learn and engage equally in a mainstream environment. The program aligns with the Early Years Learning Framework that provides 7 learning outcomes with a holistic approach, including literacy, numeracy, motor, social and communication skills. Vision - All children with disabilities are able to learn and engage equally in schools. Mission- By 2030, we aim to have the program reached 400 schools to benefit over 50,000 young children and 2000 teachers in 8 countries across the world. We have a successful product which demonstrates validation and evidence to scale, we need to build a team with matched technical skills and right business model to support this niche product. Our program pilots in Solomon Islands, Papua New Guinea and Philippines are shown success and which will help us to determine the next best market to approach. We are currently trialing in emergency situations and how inclusive educational activities help children to relieve trauma by providing a sense of normalcy, a distraction from crisis stress. This can serve as a prototype template for the future disaster relief effort in other countries. Therefore, we are seeking further funding to expand our business in the existing countries and new countries. New Feature Produce online training programs with adaptations and additional discussion/modification features, prototype template for the future disaster relief effort.